Note: The Unitron uTV3 is backwards compatible and may be used for devices requiring a uTV2. makes it easy for you to enjoy crystal clear stereo sound quality straight from your TV, while your viewing companions enjoy TV at a volume they find comfortable. 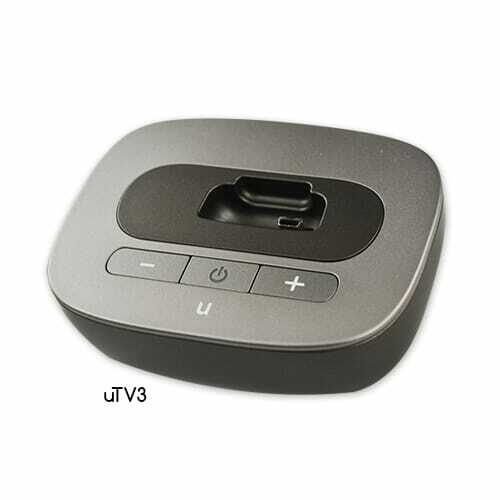 The Unitron uTV3 connects your hearing instruments wirelessly to your TV or other audio devices. The TV solution consists of three main elements: your hearing instruments, the uDirect3 accessory and the Unitron uTV3. ”¢ Very easy to set up and use. ”¢ Wirelessly connects TV with your hearing instruments. ”¢ Premium stereo sound delivered directly to hearing instruments. ”¢ Reduces negative impact of environmental noise to provide exceptional sound quality. ”¢ Fast processing time synchronizes audio and video. ”¢ You retain volume control over your own volume level – not the TV’s. This means other people in the room can listen to the TV at a comfortable volume. ”¢ Can be used to send audio signals from other devices (MP3 players, home audio systems, stereos) to your hearing instruments. 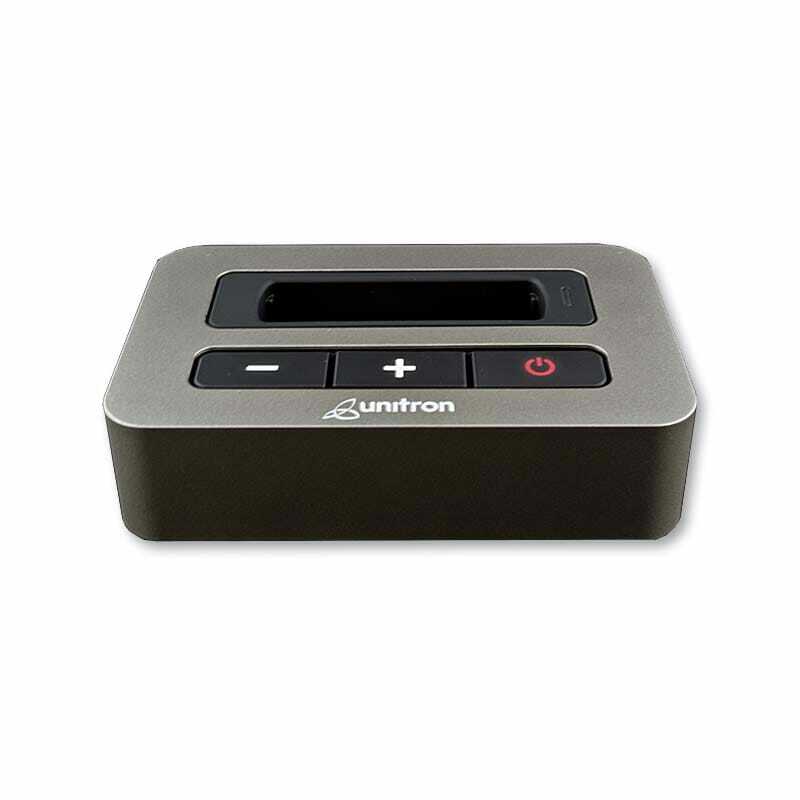 In order to use the Unitron uTV3, you need the Unitron uDirect3. Learn more about the Unitron uDirect3 here.